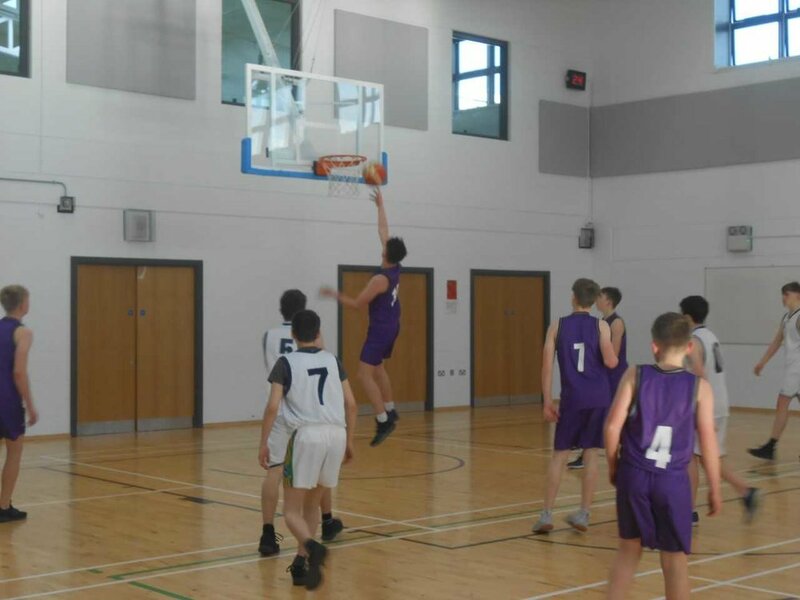 The highly motivated and talented second year boys' basketball team swept to an easy victory against Brogan's College, Bandon, on Thursday making it three emphatic wins in a row. In the past two weeks, they have recorded comfortable victories against a spirited, athletic Schull side and Rosscarbery but there are tougher challenges ahead. Next Tuesday , they take on last year's first year county champions Castletownbere C.S. away in our final group game. A win there will guarantee us top spot in the group and while it is a daunting place to go and Castletownbere are formidable opponents, the S.C.S. side have the potential to achieve this. Captain Tom Kavanagh is an inspirational leader who has sparked life into the nineteen member squad and his spirit reverberates through the team. Colm Harrington, Kyle O' Sullivan, Darragh Dempsey and Danial Buckley are potent threats in offence, while Adam Johnson and Danny Lucey are formidable players too. Fionn O'Connor has joined the squad this year and is the embodiment of positivity, playing on a razor's edge with intensity and energetic speed. Brian O' Sullivan adds a touch of class with his sharp shooting and Paddy and Gavin McCarthy fear no one. When the talented duo of Jack O'Neill and Eoghan Cawley return to training, it will be a squad that should compete with the best. Up to Christmas, the first year boys' team were drastically in need of Operation Transformation but they have turned up the volume in recent weeks adding a new intensity to their training. SCS' young ones are now showing the way in the league and have opened their campaign with three very strong victories against Mount Saint Michael, Rosscarbery, Brogan's College Bandon and Schull Community College. While the matches against Brogans and Rosscarbery were one-sided afffairs, a spirited, well coached Schull side really put it up to our boys and we were made to fight all the way to achieve victory by a scoreline of 45 to 32 points. Luka Harte and Brian O'Driscoll have been formidable threats in attack while Dylan Hourihane has tormented our opponents with his tenacious defence. Rory Collins has added a touch of class in attack and is one of our most improved players in the past few weeks. Olan Hurley, Mark Keating and Naoise Quinn have all made positive contributions and transferred the wealth of knowledge they have gained from the Skibbereen Eagle's club to the school team. But more than half the squad have only started playing basketball since they came to the school and many of these players like Fionn Coombes look like they have been playing for years. The first year journey to success has just started. The journey will ask questions of our players and those who take up the challenge will learn from it and it will bring a new strength of character. When you give everything, you have nothing to lose.